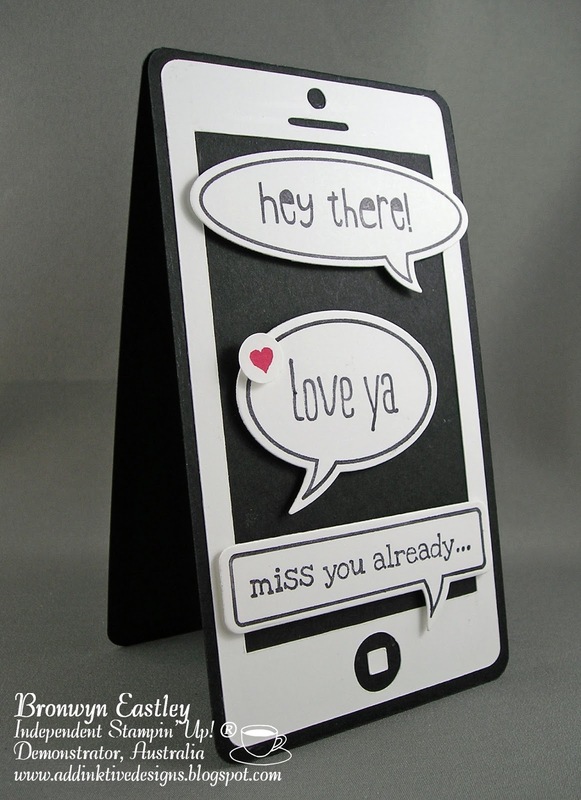 I've seen a few cards around in 'Blogland' and 'Pinterest' which have a Smart Phone Die and thought I would make my own iPhone Card using Stampin' Up's! Digital Punches from My Digital Studio. 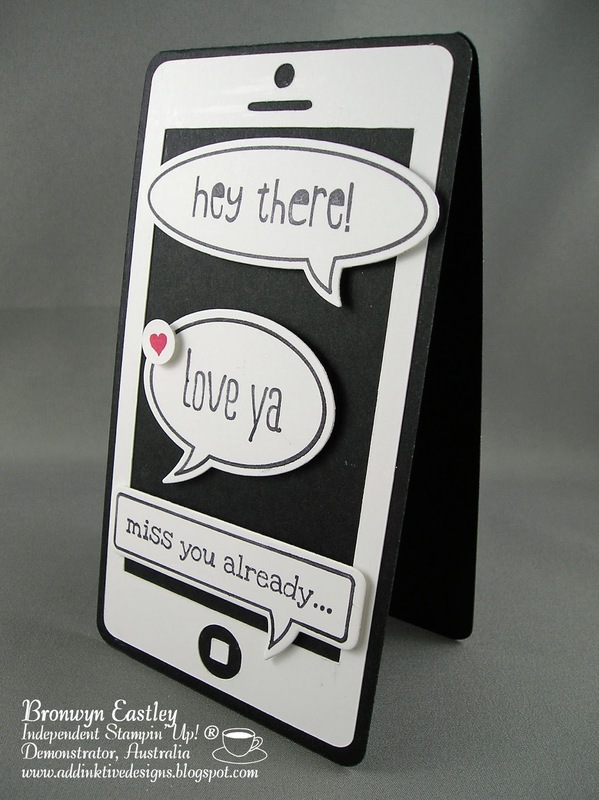 I checked out my daughter's phone (slightly different to my iPhone 5) and used that as inspiration to design the template. As you can see from the above diagram, I used only 3 very basic digital punches - circle, square (stretched to make the rectangular shapes) and the Word Window digital downloads. 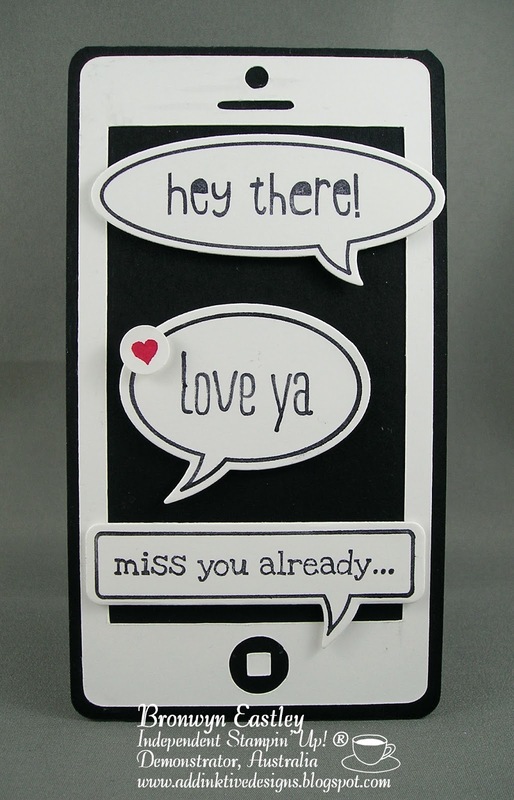 The template was designed in my Silhouette Studio (Designer Edition) and electronically cut out with the Silhouette Cameo. 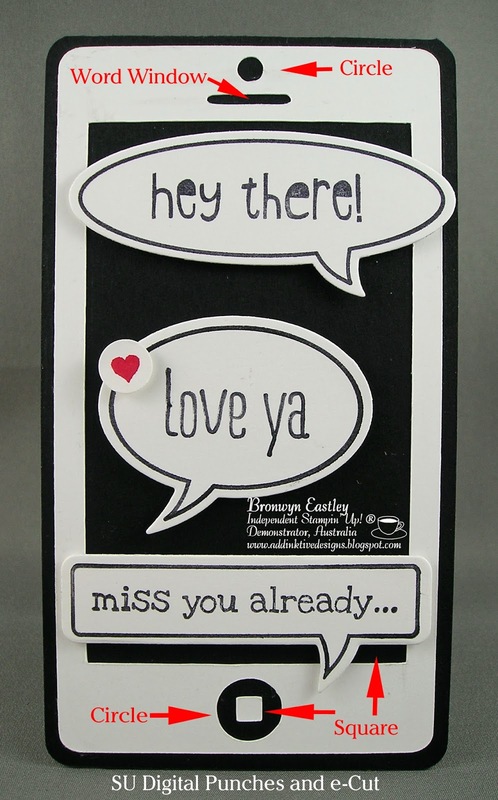 The 'text' was made from the 'Just Sayin' Stamp Set and cut from the 'Word Bubbles Framelits Dies'. Don't forget that until the end of March you can chooses a FREE Gift from the SAB Catalogue for every $90 (AUD) you spend. Happy shopping! How fun is this. I didn't even know SU! had digital punches. I love this and will have to check out those punches. Impressive stuff here!